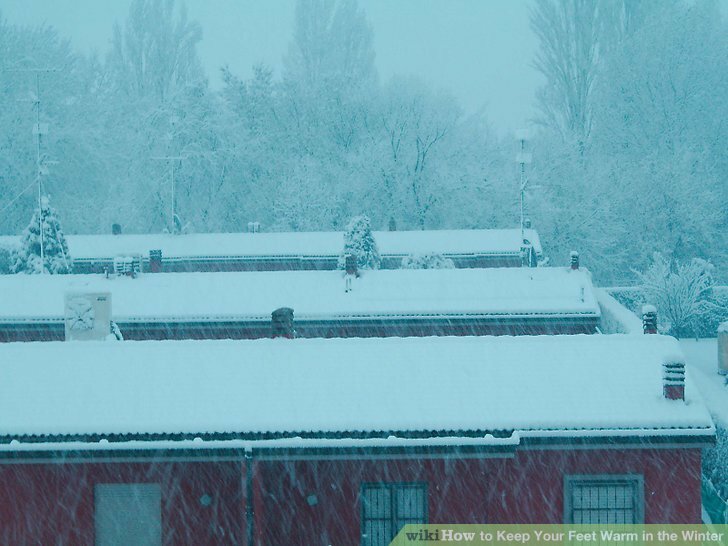 Cold feet make winter less bearable and can affect your level of comfort, both indoors and out. Having cold feet can be especially unpleasant when trying to get to sleep, walking in cold weather and sitting in front of the TV. Follow all of these instructions before you go outside. It is recommended that you wear two layers of socks but that’s up to you. You might also consider purchasing socks especially designed to keep the feet toasty warm outdoors; check out the options in a sports or outdoor store, and ask for socks that keep the feet warm. Many of these socks are designed to be warm without adding too much bulk, allowing you to wear your boots or shoes comfortably. 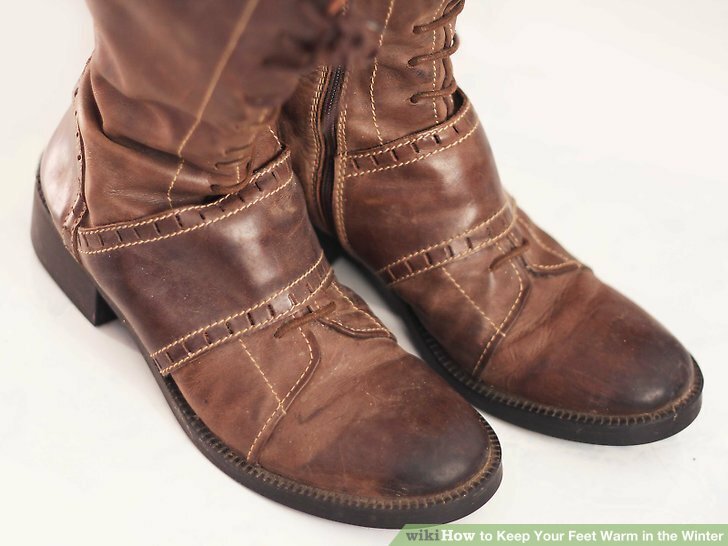 Wear appropriate boots, such as winter boots that are waterproof. Check the warmth rating of your boots, as the specific cold weather boots will have a special rating that corresponds to temperature ranges. Ensure that the boots fit you well, as this will help to keep you warm. 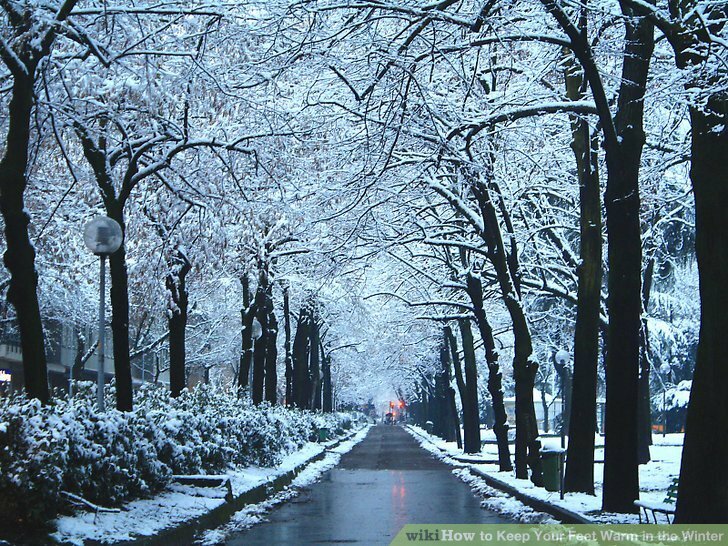 Set off into that winter wonderland. With luck, your feet will stay toasty warm. 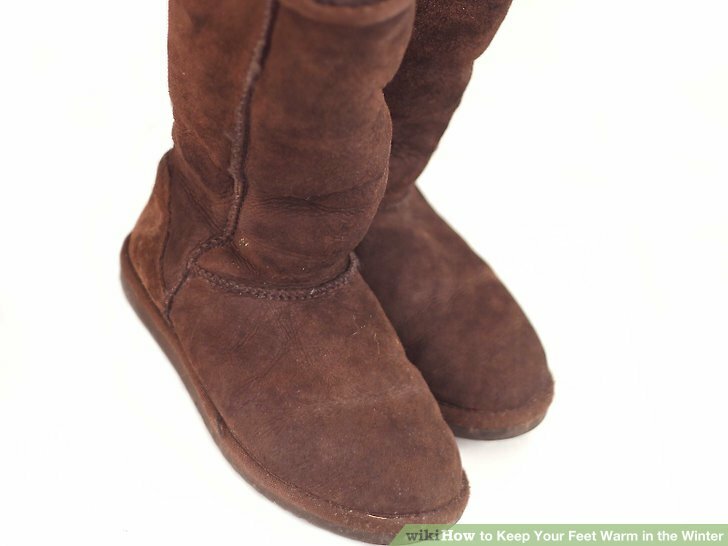 Choose nice warm, fluffy ones that feel comfortable to wear for the time you’ll be sitting around. Put on some slippers or fuzzy boots. These will add more warmth to your feet. Put your feet by the heater. 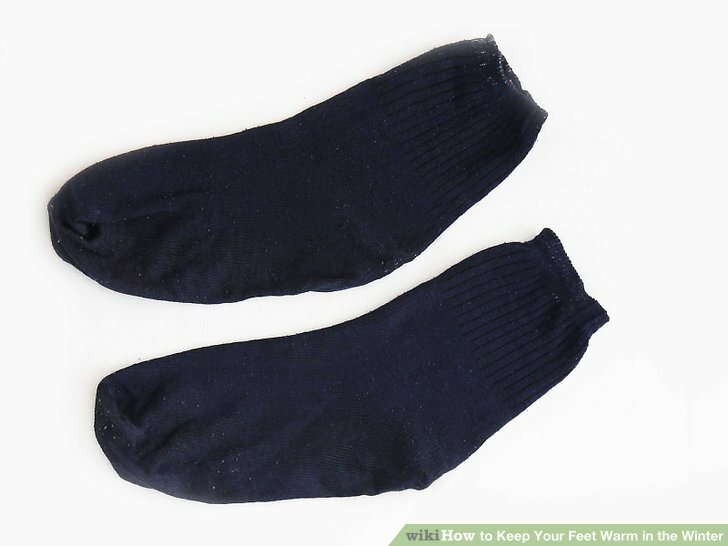 Keep them there until the heat has warmed up your feet, then put your warmed feet under a blanket. 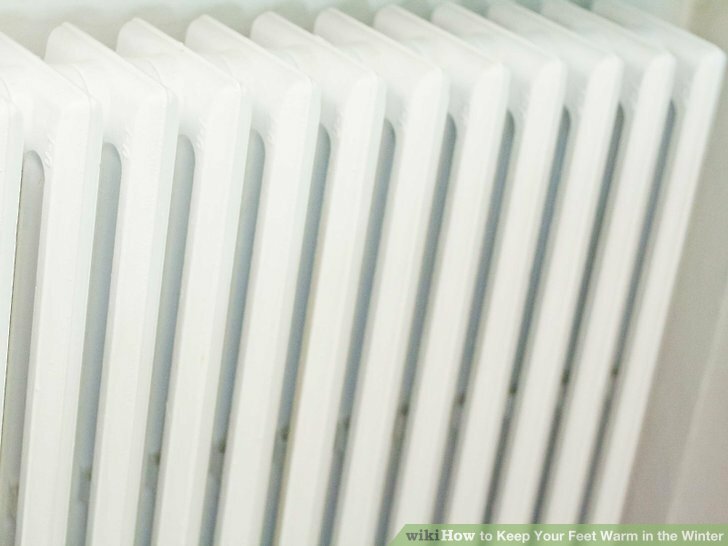 Be careful not to put any clothing too close to a radiator or open fire. 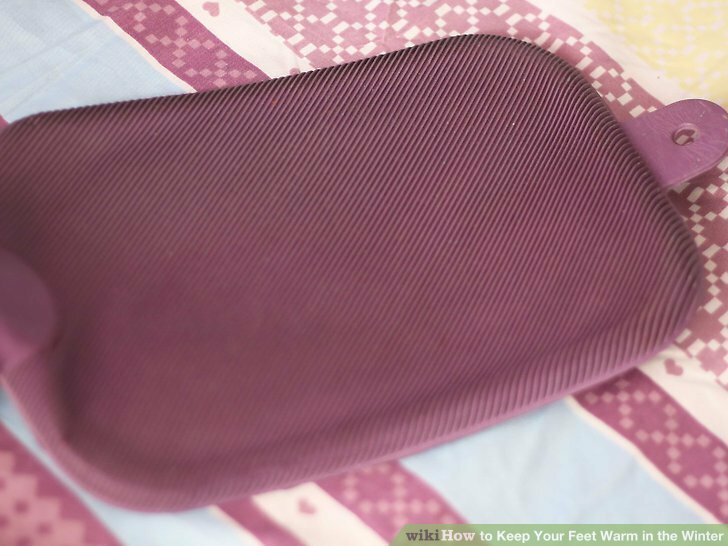 Rest your feet on a hot water bottle or a heat pack. Wrap the bottle or heat pack in a thin blanket to help the heat last longer. Keep the hot water bottle or heat pack off a wooden, cement or stone floor; place on a cushion or carpeted area first, otherwise the heat will drain quickly. 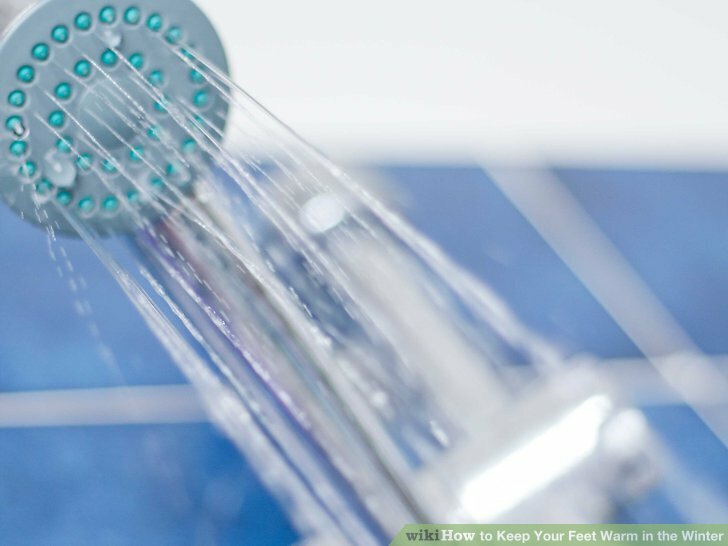 Have a warm bath or a shower if you really can’t seem to warm up your feet. 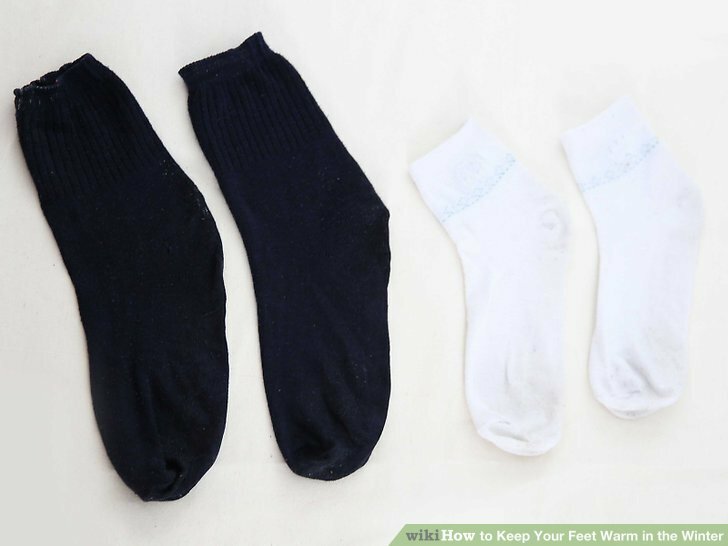 The warm water will help them to warm up and you can pop on some socks as soon as you get out of the shower, to keep them nice and warm. If your feet are still cold you should see you doctor if he/she has any tips.